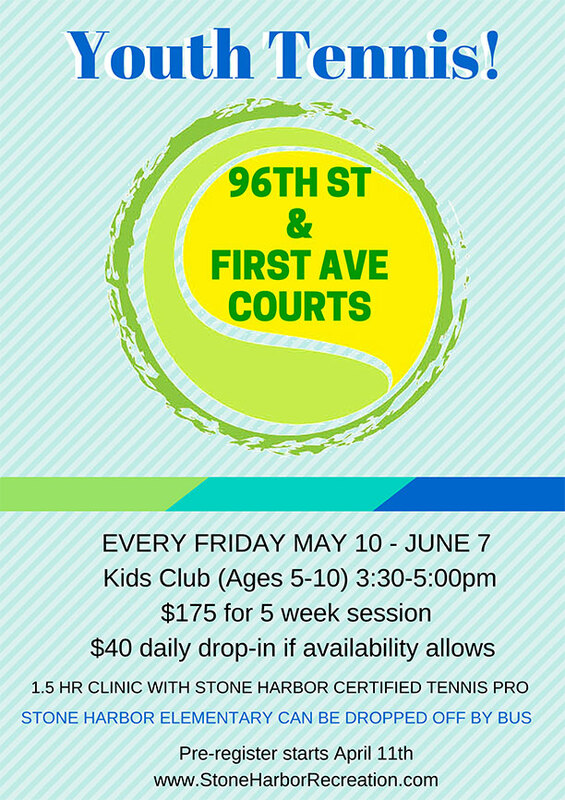 COURTS ARE FREE AND OPEN TO THE PUBLIC AT THIS TIME. ENJOY!! RESERVATION POLICY Members play for free and must pay for all guests playing with them. ​Members can make reservations 24 hours in advance with their member card. Non-members play on first come, first serve basis with day of reservations available. Reservations will be held for ten minutes past the reserved time. 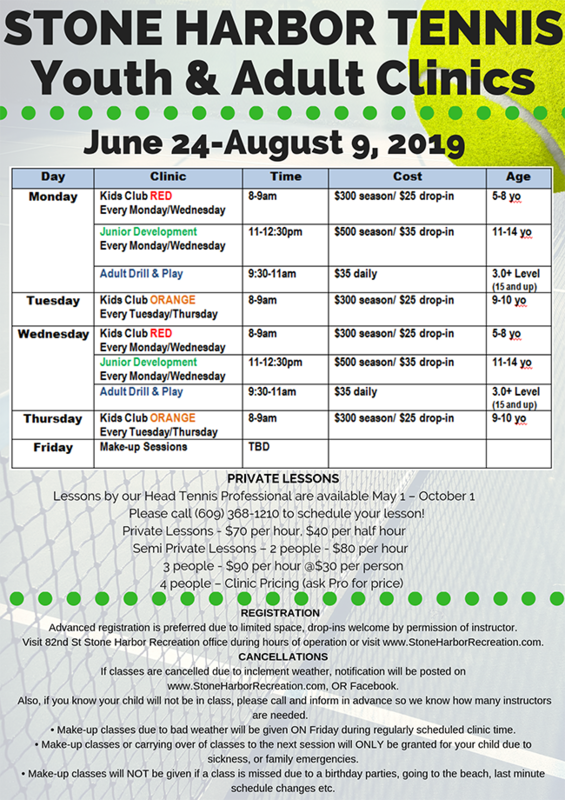 Please call Stone Harbor Rec (609) 368-1210 to schedule your lesson! Anthony Carey joins Stone Harbor Tennis and Recreation as Head Tennis Pro, bringing with him a wealth of tennis teaching experience and a tremendous tennis background. Anthony began his tennis playing days as a child on the Ocean City beaches, where Anthony’s father first introduced him to paddle ball. He avidly played with his six brothers and sisters until he was old enough where the paddle turned into a tennis racket. A 1992 graduate of Holy Spirit High School, Anthony was All Conference in Doubles in 1990 and 1991, undefeated at #3 singles in ’92 in Cape Atlantic League play and the team went undefeated in ’90, ’91 and ’92 Cape Atlantic League. Anthony continued his tennis career at Loyola College where he competed from 1992 to 1996. While pursuing his Bachelor of Education, he was the MAAC Silver Medalist at #2 singles in 1996, MAAC Silver Medalist in #2 Doubles in 1996, and he notched the most MAAC tournament singles wins. USPTA certified, Anthony has taught tennis for the past two decades. He began his teaching days at Golf and Tennis World under Pat Matthews, Dupont Country Club under Larry Hampton and most recently, Greatbay Racquet and Fitness under Janice Mott. A native of Ocean City, NJ, Anthony is part of a very athletic family. His brother, Joe, played tennis at St. Joseph’s University and little sister, Margaret, played basketball at Mount St. Mary’s University. He has 6 brothers and sisters and 18 nieces and nephews. His favorite hobby remains battling his nieces and nephews in paddle ball on the beach and while his father, Bill, put the tennis racquet in his hand, his mother Judith is still undefeated against him, 599-0.